Adobe has fixed 24 critical arbitrary code execution vulnerabilities across multiple products, including Acrobat Reader, Adobe Flash, and Adobe Shockwave Player. Overall, Adobe issued fixes for 43 different CVE numbers across eight different products, Tuesday, as part of a regularly-scheduled monthly security update. 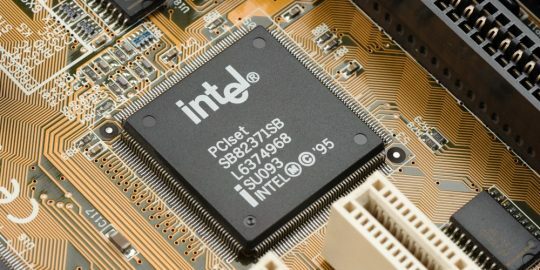 The company said that none of the vulnerabilities are currently being exploited in the wild. Acrobat Reader, Adobe’s family of products allowing users to create and manage PDF files, had the bulk of security flaws that were patched, with 21 vulnerabilities overall, 11 of which were critical arbitrary code execution flaws. These flaws exist in Acrobat Reader DC (2019.010.20098 and earlier versions), Acrobat Reader 2017 (2017.011.30127 and earlier versions) and Acrobat Reader DC Classic 2015 (2015.006.30482 and earlier versions) for Windows and macOS. 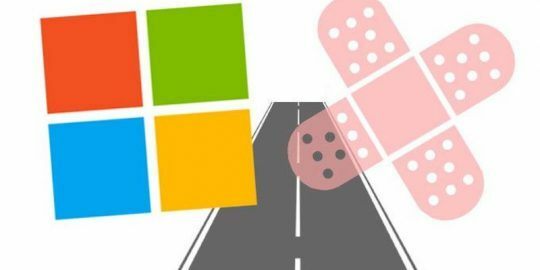 The critical flaws include five out-of-bounds write flaws (CVE-2019-7111, CVE-2019-7118, CVE-2019-7119, CVE-2019-7120, CVE-2019-7124). 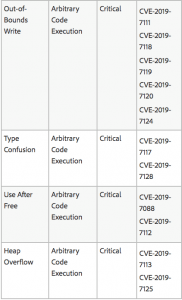 Two type confusion flaws (CVE-2019-7117, CVE-2019-7128), two use-after-free flaws (CVE-2019-7088, CVE-2019-7112) and two heap overflow glitches (CVE-2019-7113, CVE-2019-7125). Adobe also fixed seven arbitrary code execution flaws in the Windows version of its Shockwave Player, which is its multimedia platform for building interactive multimedia applications and video games. Impacted are versions 12.3.4.204 and earlier: Users are urged to update to version 12.3.5.205. 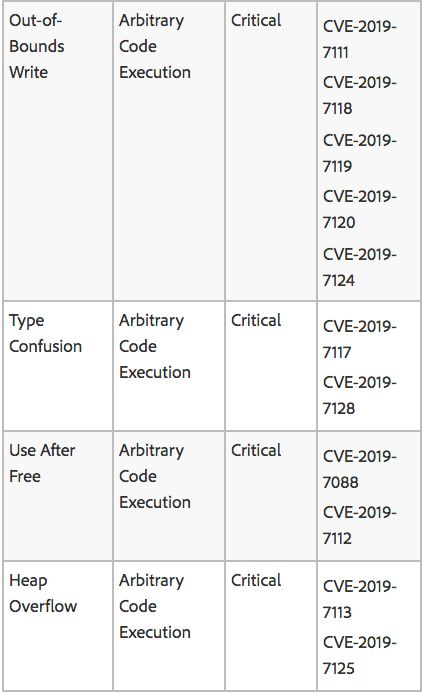 All seven (CVE-2019-7098, CVE-2019-7099, CVE-2019-7100, CVE-2019-7101, CVE-2019-7102, CVE-2019-7103, CVE-2019-7104) stemmed from memory corruption: “This update resolves multiple critical memory corruption vulnerabilities that could lead to arbitrary code execution in the context of the current user,” said Adobe. Adobe Bridge CC, Adobe’s free digital asset management app, also had eight flaws, including two critical remote code execution vulnerabilities (CVE-2019-7130, CVE-2019-7132) and six important information disclosure flaws. Also patched was an “important” flaw in Adobe Experience Manager Forms and a “moderate” severity vulnerability in Adobe Dreamweaver. The regularly-scheduled updates come on the heels of a somewhat sparse March update for Adobe, when the company patched only two critical flaws in Photoshop CC and Adobe Digital Editions. 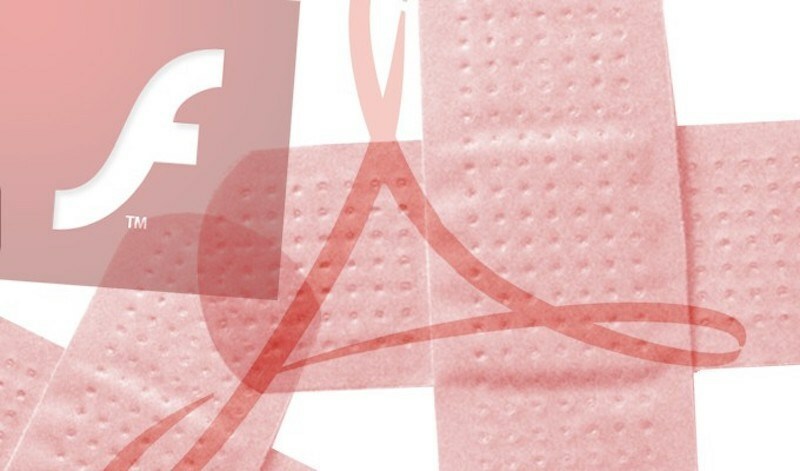 Earlier in March, Adobe also issued an emergency patch for a critical vulnerability in its ColdFusion service that was being exploited in the wild. The vulnerability, CVE-2019-7816, exists in Adobe’s commercial rapid web application development platform, ColdFusion. 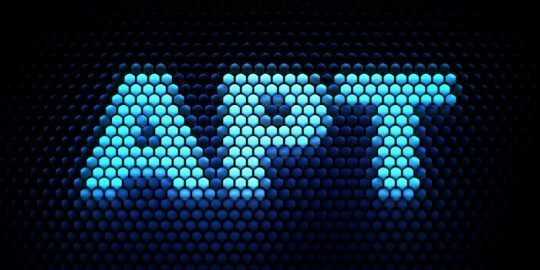 Newly patched CVE-2019-0797 is being actively exploited by two APTs, FruityArmor and SandCat.